What a difference a mere hundred years makes! US voters rejected mandatory health insurance, or Obamacare, at the turn of the last century. It took supporters almost another century, but they finally won. For a quarter century before WWI, many of the nation’s young people had gone to Germany to complete their college education and had returned determined to recreate the US in the image of socialist Germany. Richard Ely was one. He founded the American Economic Association for that sole purpose. He and economist Irving Fisher would lead the drive for universal, mandatory healthcare insurance. At the time, middle class and wealthier Americans paid a fee each time they visited a doctor. But the fees were too high for the working poor, so they had organized into mutual aid societies to help each other with medical costs. 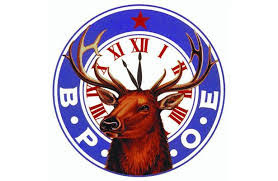 Known as lodges, such as the Elks, or secret societies such the International Order of Odd Fellows (IOOF) or the Free Masons, or just fraternal organizations, mutual help societies had existed for centuries. They followed the ancient guild practices of mutual aid to craft members. David T. Beito beautifully writes their history in his book From Mutual Aid to the Welfare State: Fraternal Societies and Social Services 1890-1967, published by the University of North Carolina Press in 2000. Socialists became wary of lodges, or fraternal societies, partly because of their secret passwords and handshakes. But the societies had developed those for security purposes because they suffered from fraud by non-members wanting to cash in on the benefits. Two centuries ago an IOOF chapter in say Texas couldn’t easily contact another in say Boston to confirm the membership of someone wanting aid. The passwords and handshakes solved the problem. In the earliest day, the lodges offered burial insurance because poor people were terrified of suffering the indignities of a pauper’s burial. Later they added healthcare and life insurance, built orphanages and hospitals, and provided pensions. The Shriners branch of the Free Masons still maintains children hospitals. Without the lodges, most members could not afford to pay fee-for-service doctors and would go without medical care. If readers want to know how medical care should operate and what is wrong with it today, read Mr. Beito’s book. The medical establishment began attacking the lodges as early as the 1890s because the lodges would contract with doctors for a flat fee per year per member to provide medical care for lodge members. In the practice, that is known as “capitation” and it is making a comeback with the federal government as a means to restrain the explosive growth in the costs of medical care. Lodges usually contracted with doctors from private medical schools set up by other doctors to fill the deficiency in the supply of new doctors by the state schools. The American Medical Association (AMA) claimed that the lodges kept doctor pay too low, causing some to starve. So they launched public relations campaigns to stigmatize the lodge system and the doctors who served the working poor. They bribed politicians to shut down the medical schools they didn’t approve of, of course in the interest of “public health and safety” in the Baptists and Bootleggers style, in order to create a shortage of doctors. They bribed hospitals to reject doctors who worked with lodges and convinced medical organizations to ostracize them. AMA doctors refused to work at lodge owned hospitals and the AMA worked tirelessly to shut those hospitals down. The AMA’s assault on “low pay” for their doctors finally worked. Lodge practice was also a victim of an overall shrinkage in the supply of physicians due to a relentless campaign of professional “birth control” imposed by the medical societies. In 1910, for example, the United States had 164 doctors per 100,000 people, compared with only 125 in 1930. This shift occurred in great part because of increasingly tight state certification requirements. Fewer doctors not only translated into higher medical fees but also weaker bargaining power for lodges. Meanwhile, the number of medical schools plummeted from a high of 166 in 1904 to 81 in 1922. The hardest hit were the proprietary schools, a prime recruiting avenue for lodges. When socialists and the AMA proposed mandatory health insurance for every citizen in the early 1900s, the lodges saw it as an attack on their system of self-reliance and mutual aid. Enough Americans shared the same values as the lodges that they defeated the proposals in two referenda. In 1918 the citizens of California voted three to one to reject mandatory health insurance. It failed again in New York in 1919. The traditional fraternal worldview was under attack. Age-old virtues such as mutual aid, character building, self-restraint, thrift, and self-help, once take for granted, came under fire either as outmoded or as drastically in need of modification. JM Keynes echoed Barton in the 1930’s with his famous line, “In the long run we’re all dead,” and with his continual assault on the evils of the Protestant work ethic and savings. The ideal of “service” replaced that of self-reliance. By “service” socialists meant that the wealthy should give to the poor. They helped remove the stigma of charity by convincing the poor that they shouldn’t be ashamed of receiving aid because the wealthy owed it to them. In addition to the efforts of the AMA to destroy the excellent system of healthcare insurance set up by the fraternal societies, the progress of socialism continued to erode the appeal of self-help. For example, the federal government gave favorable tax treatment to corporations who offered group insurance without extending that to individuals while embers of fraternal organizations received no tax deductions for their healthcare insurance. Corporations then paid the premiums so workers were fooled into thinking their insurance was free. Good economists understand that corporations merely deducted the premiums from future pay raises. The lodges argued that group insurance from the employer would enslave workers to a single company because they would lose their insurance if they lost their job whereas lodge insurance traveled with the individual. The lodges were right as we have found out. The Great Depression weakened lodges as the bulk of the 25% unemployment came from their ranks, the working poor. More assaults on mutual aid came with the passage of social security legislation, company pensions, and worker’s compensation insurance. Again, the government allowed corporations to deduct expenses for those from their taxes without extending the privilege to individuals in fraternal organizations. Then came Medicare and Medicaid in the 1960s. The book exposes the lie that socialists proposed their welfare measures because they saw a desperate need for them. 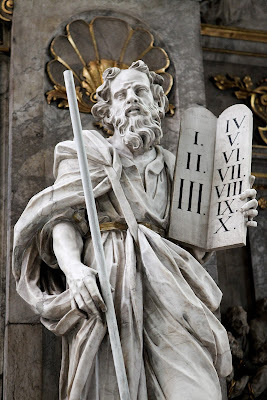 Churches and charities had provided for the poor who couldn’t work since Biblical times, while the fraternal societies took care of the working poor very well. In 1924, 48% of working-class adult males were lodge members.